Cape Henry Associates is a proud supporter of our community, country, and the world at large – not just with our cutting-edge technology and products, but in other ways that give back and share with those less fortunate. 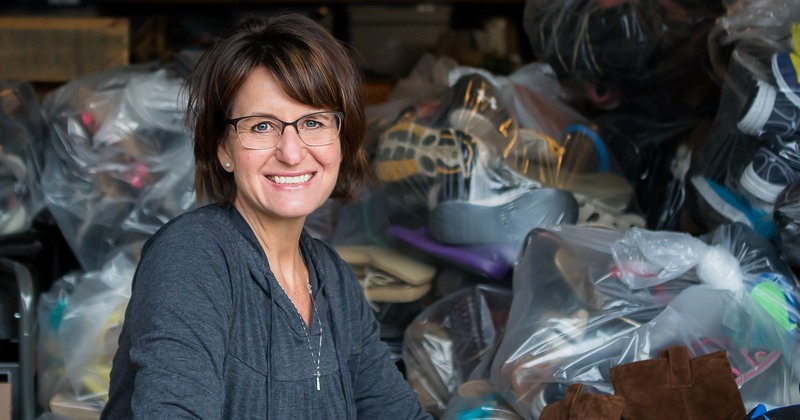 In December, CHA employees cleaned out their closets and hit their local stores to help the wife of CHA CEO John Jackson help people in Uganda. Danielle Jackson is going on a mission trip to Uganda in July with Show Mercy International. Mrs. Jackson is fundraising for her trip in a way that helps even more people. She is soliciting donations of new or gently used shoes with a goal of collecting 2,500 pairs, which will be given to Funds2Orgs in exchange for a donation toward her mission trip. 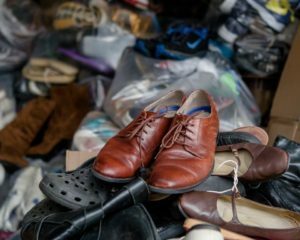 Funds2Orgs takes the shoes and uses them to support micro-enterprises in underdeveloped regions of the world. CHA employees and their families donated nearly 80 pairs of new or gently used shoes to her efforts. CHA’s donation not only assists Mrs. Jackson in her mission to Uganda, but also countless people around the globe. We are proud to be a part of this endeavor and look forward to hearing about Mrs. Jackson’s adventures when she returns. A professional photographer, Mrs. Jackson will be documenting her journey. You can follow along as she prepares and embarks on this journey by reading her blog.